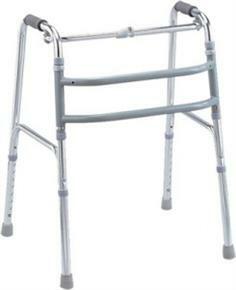 Reciprocal Walking Frame With Foam Handle Grips. This reciprocal zimmer frame has contoured foam handgrips to maximise user comfort, and non slip rubber tips that ensure a secure grip. 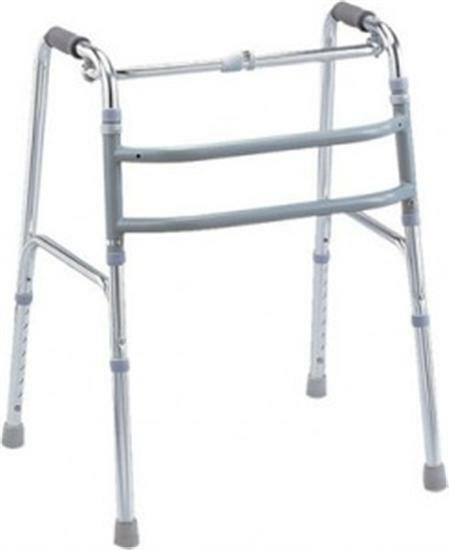 The double steel cross braces promote extra stability, and a smart one button release allows the walker to be collapsed to allow simple storage or transportation. Get back on your feet with this smart walking aid!